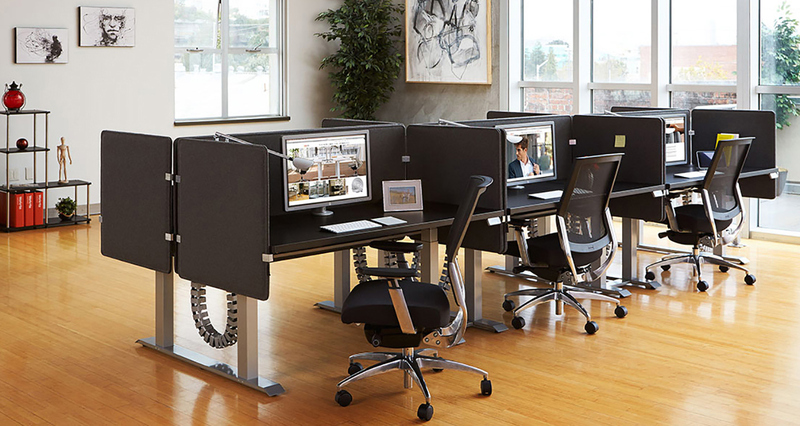 Office furniture by Workrite Ergonomics of Petaluma. Designs and manufactures sit stand desks, ergonomic office products, keyboard trays, monitor arms, task lights, and accessories. Photographed by Brandon McGanty on location at Dog Patch Studios of San Francisco California, specializing in Product photography in lifestyle.